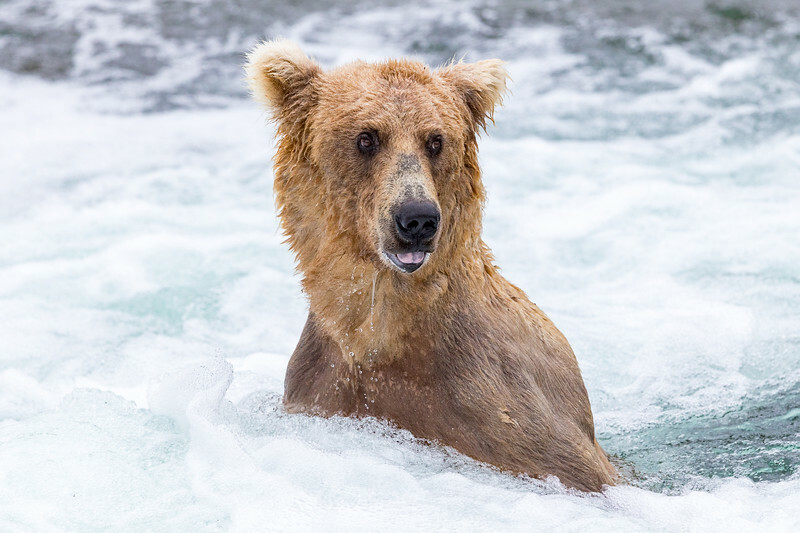 Brooks Lodge provides bear photographers the ultimate Alaskan bear experience. 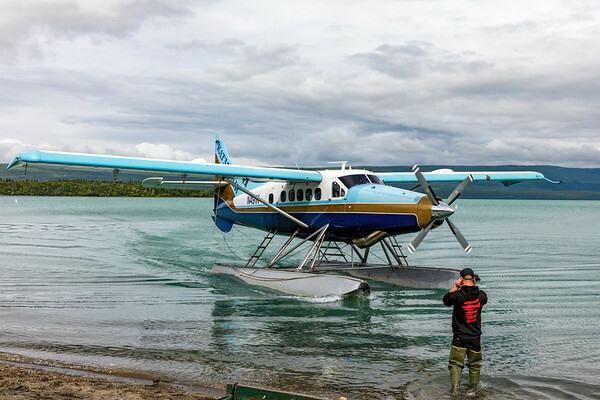 Situated in the Katmai National Park and only accessible by seaplane wildlife photographers have the chance to get up close and personal with feeding brown bears. 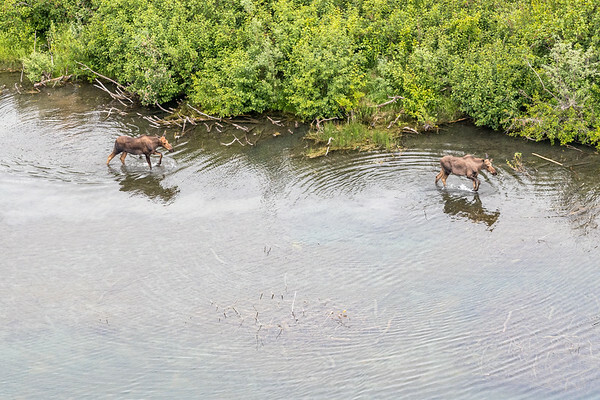 Originally built as a remote fishing camp, Brooks Lodge overlooks the Brooks River and is a short walk away from the world famous bear feeding ground named Brooks Falls. 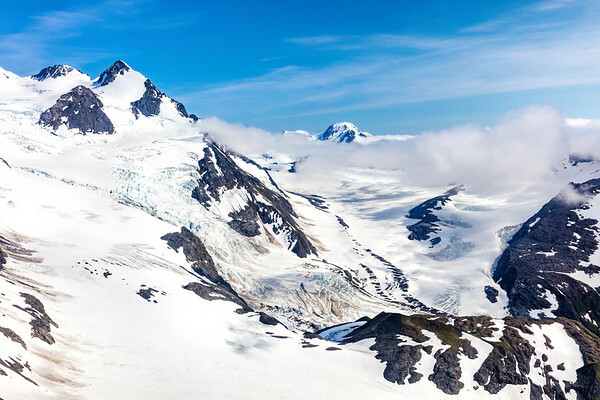 In early July we spent 5 days taking in Alaska by photographing bears and glaciers. Our travel consisted of a float plane, a helicopter, a train, and boat to get to these remote areas. It is a truly amazing experience to photograph brown bears feeding on salmon in Brooks Falls. 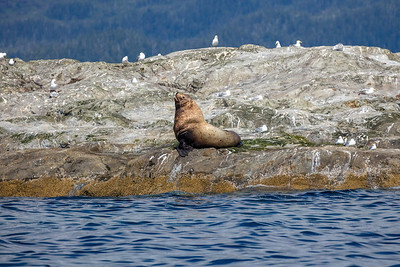 You’ll see lots of bears and their cubs playing, swimming, diving and sometimes fighting over salmon. 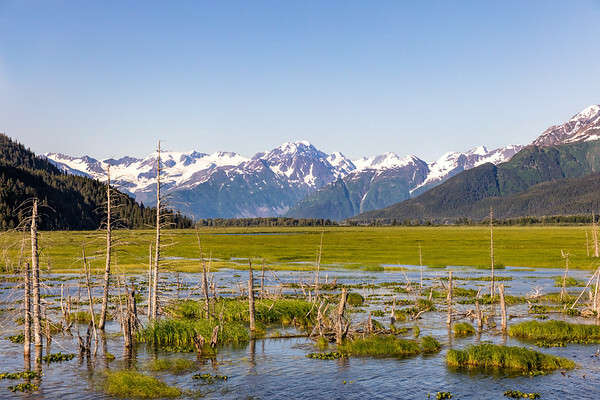 Alaska Fish and Wildlife, as well as Brooks Lodge, says there are more than a million fish that swim from Bristol Bay into the Nanek system of lakes and rivers in a given season. This massive number of fish is what makes Brooks Falls such a popular fishing location for bears and humans, as well as bear photography. It's such an great experience the Brooks Falls lodging packages are sold out two years in advance. In December of 2017, they will open the lottery for the 2019 season. There is good news though - You can still plan a day trip. It makes for a long day but is well worth it. We took 2 camera bodies and three lenses: 24-70, 70-200 and 600mm. The equipment you bring really depends on why you are going and the types of pictures you want. I would recommend you have at least a 400mm lens because of the distances away some of the viewing platforms are from the river. When shooting on the viewing platforms you can use a monopod, but not a tripod. When packing your gear bag be sure to bring plenty of batteries and memory cards. There is nothing worse than running out of power or memory when two big bears are fighting over a salmon. Brooks Lodge has a special storage building you can store any baggage, which was nice to know so I didn’t have to carry around the case for the 600mm lens. You are also required to leave any and all food in this storage facility. The bears are at the falls because they are hungry; you don't want to be the next meal. The main lodge does sell food and the buffet was pretty good. So don't worry about not having any food. You can go to Katmailand to see the bear viewing packages and book your trip. The site does a nice job providing details about your itinerary and suggestions on what to bring. They offer tours from June 1st to Sept 18th. The best bear viewing times are July or September. We went the first week of July and saw bears all day. The middle of July there was a lot more fish moving up stream bringing in even more bears. 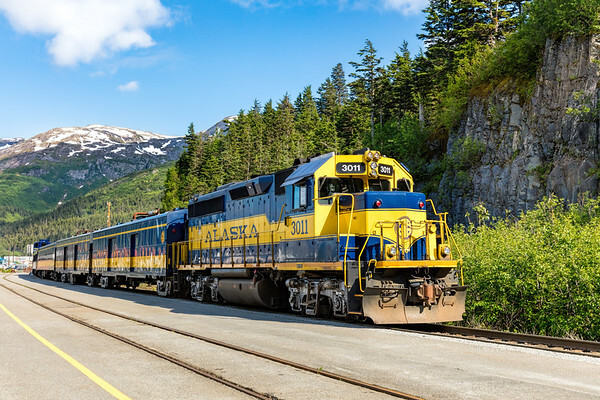 When you book your trip it will include transportation from Anchorage to Brooks Lodge. 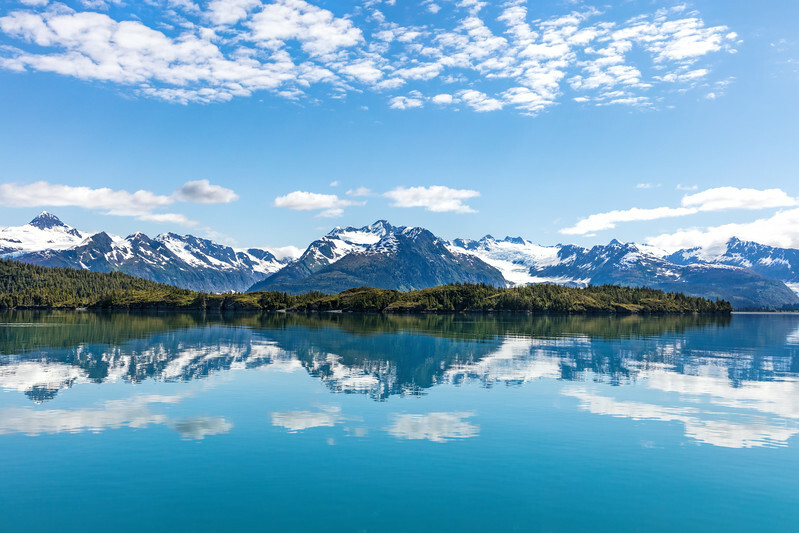 You’ll take a twin prop plane on Pen Air from Anchorage airport to the town of King Salmon, then take a float plane on Katmai Air from King Salmon to Brooks Lodge. Pen Air has a couple gates at the airport that don’t require you to go through security. Most of their planes do not have overhead storage so you will be limited to what you can put under your seat. Everything else will need to be checked or tagged and put on the planeside baggage cart. 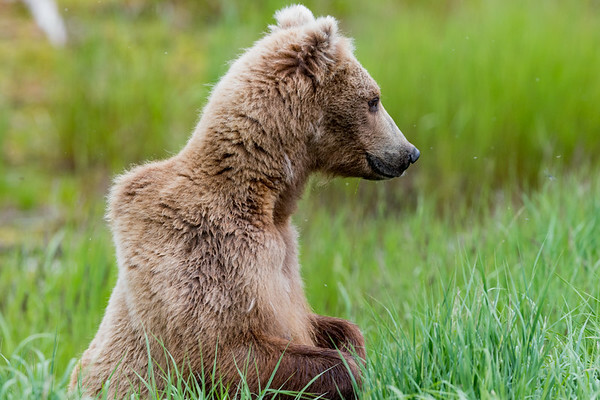 If you are going for bear photography and taking a large camera lens, make sure it is in a good carrying case that can be checked and will protect your equipment. When you get on the float plane all of your bags, no matter how small, will be put in the back of the plane. 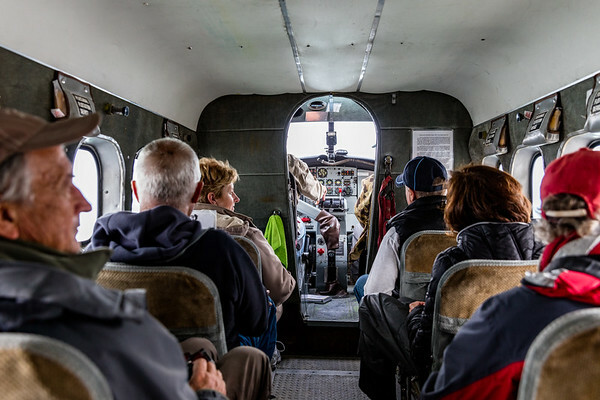 Once you arrive in King Salmon, Katmai Air has a shuttle bus that will take you a few miles to their office. There you will get checked in for your 25-minute float plane flight to Brooks Lodge. When you check in, they will have you stand on a large scale and weigh you, then your bags. This is a safety check and yes, everyone is required to do this. In speaking with other guests, I found there were a number of people staying in King Salmon for a couple days and doing the short float plane back and forth to Brooks Lodge so they could enjoy a couple days with the bears. This is something to consider if you want to spend a couple days and the lodging at Brooks Falls is booked. 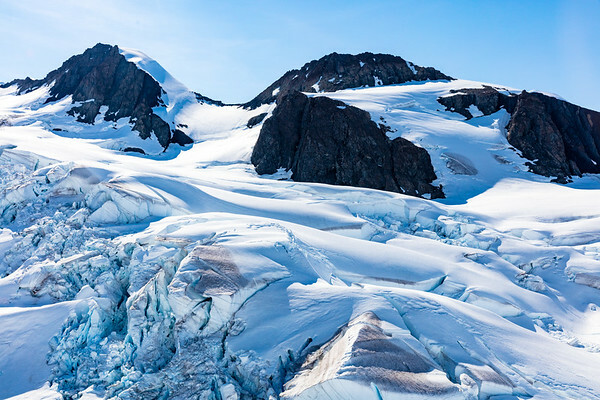 The Alaskan glaciers are something every American should see in their lifetime, and there is no better way to see them than by helicopter. You’ll start the trip by flying through large fields, streams, and mountains. It wasn’t long before we saw a couple black bears as well as two moose in a stream. You’ll see some large glaciers with that great translucent blue color, but what makes this trip really amazing is landing on a glacier. 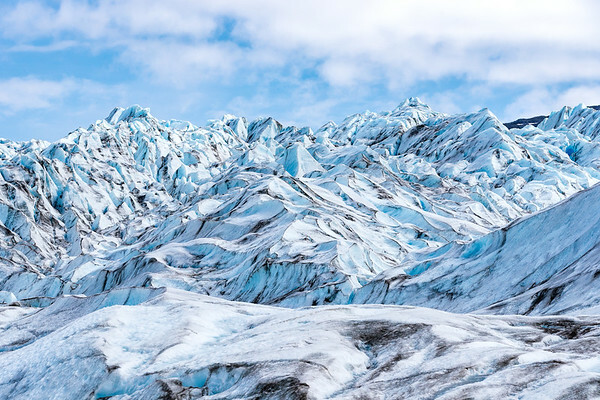 The helicopter lands and you get the chance to walk around on the glacier and really see the surreal landscape. 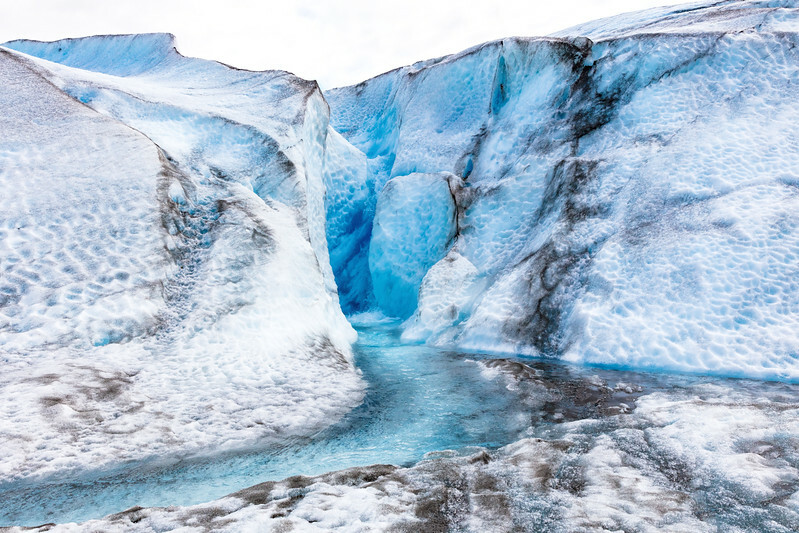 At first, it’s a bit concerning because you’re on a large block of ice, there are waterfalls, flowing water as well as deep blue pools of water. The pilot will let you know what color ice you can step on taking a bit of the fear away and really allowing you to enjoy it and appreciate where you are and the amazing views. I won’t share the details, but the pilot will have a nice surprise for you once you land. They usually ask who wants to fly in the front seat on the way up and the way down. If you get the option take it on the way back down. The flight over the glacier you landed on and between the snow capped peaks at over 10,000 feet is really something. From the front seat you’ll have better views. The back seats provide a great view too, but it is much easier to see out of the large front window. 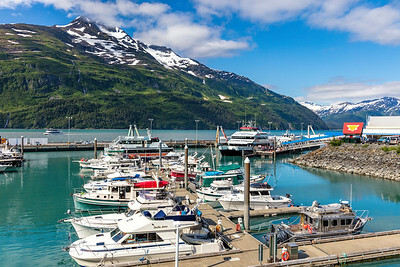 We booked out tour with Alpine Air Alaska. They offer a lot of different tours options. They did a great job, made us feel safe and provided an experience we’ll never forget. 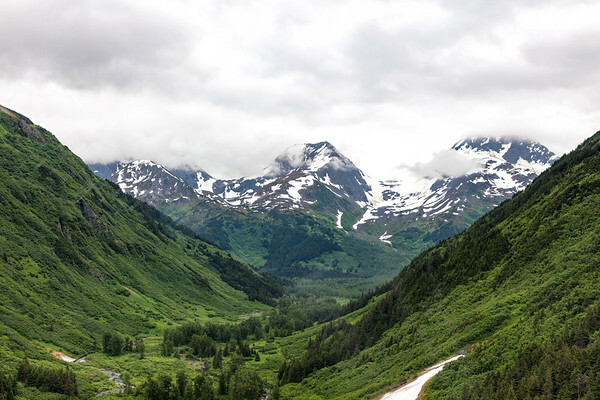 If you only booked one adventure in Alaska this is the one I would highly recommend. We had also decided to take a glacier cruise in Prince William Sound. 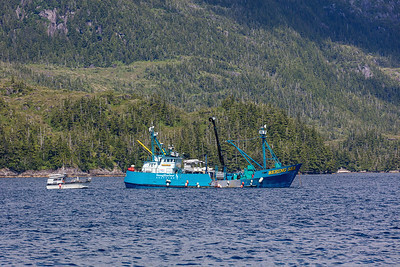 The one we took left from Whittier, which was about 2 hours from Anchorage. We had a rental car, but decided to take the train to relax and enjoy the view. You spend a lot of time on the coastline and do have nice views. The train has nice large windows, but the leg room is pretty tight since you have people sitting across the table from you. If you have a bag, there is some room behind your seat to store a bag. Once you arrive in Whittier, you walk across the street to checkin and board the boat. The boat is very comfortable and you have plenty of room. The food was also surprising good. 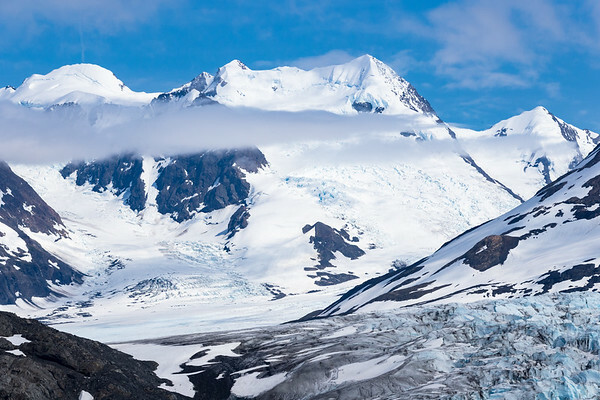 It’s an enjoyable day and you’ll see wildlife, glaciers and mountains. The highlight of the trip is pulling up close to a large glacier. On the return trip they stop at the Kittiwake bird rookery, which has two large waterfalls and over 10,000 birds flying around and sitting on the rock walls. Overall it was an enjoyable day, with lots of nice views. 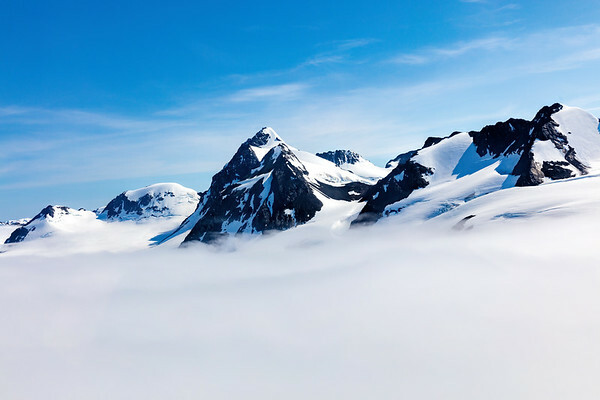 However, I thought the Helicopter tour provided a very unique glacier tour that I would recommend over the glacier cruise. We tried a few things on the menu, including the stone fired pizza and everything was very good. The restaurant was always busy but does have a large bar area with open seating. This is a small bar with a great atmosphere and even better food. The Halibut special I had for dinner was probably the best meal I had while in Alaska.